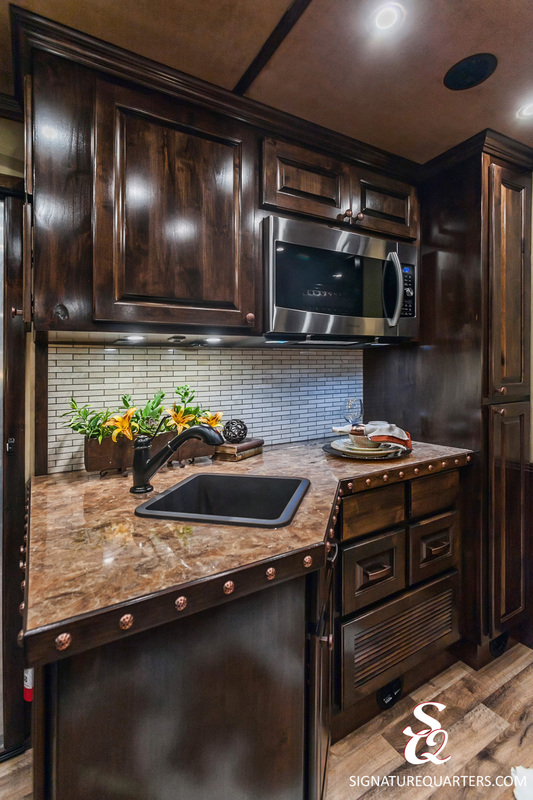 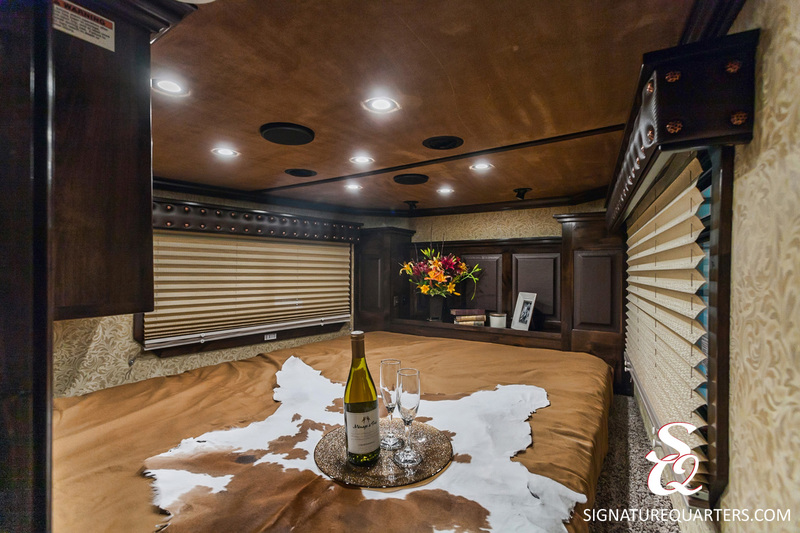 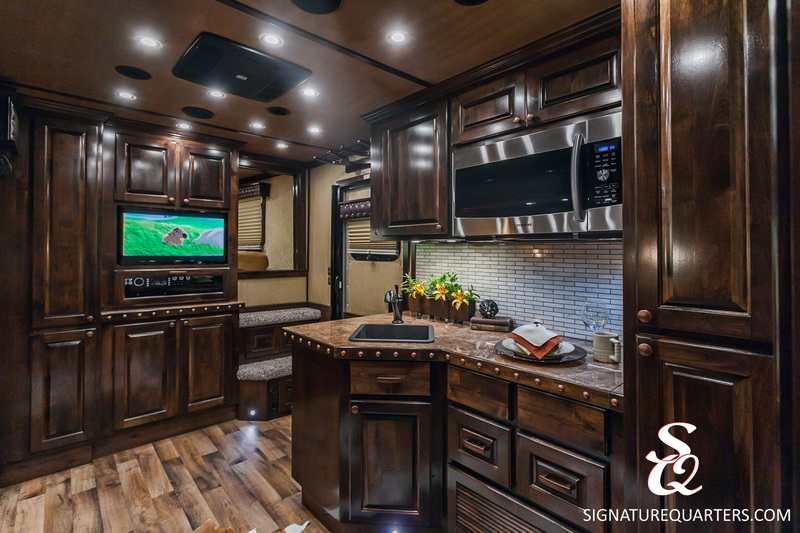 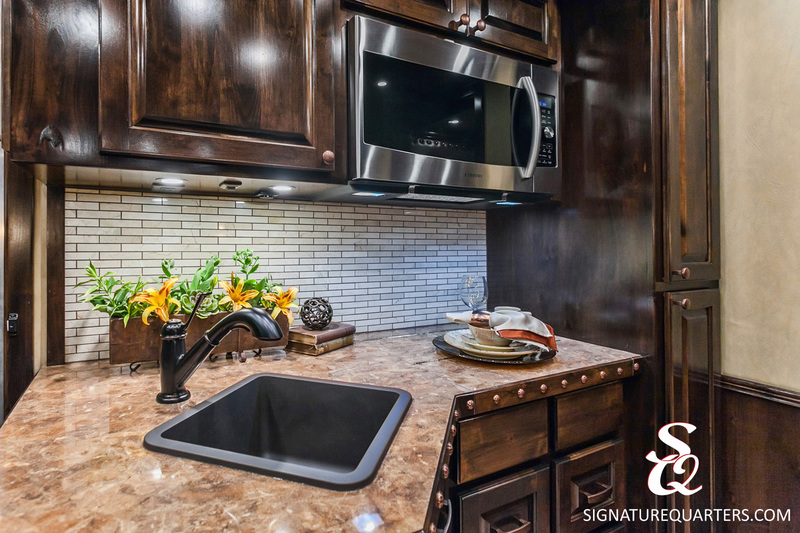 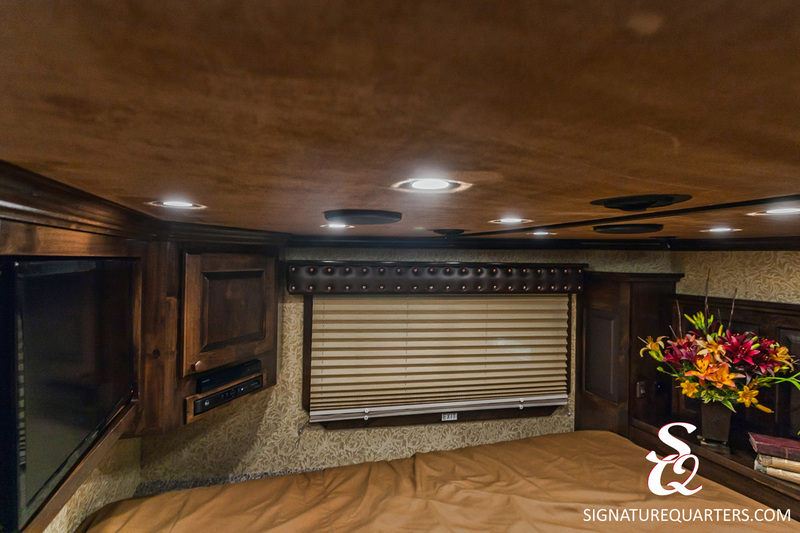 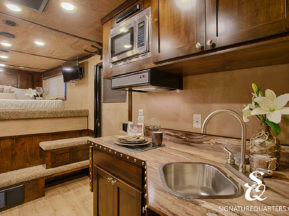 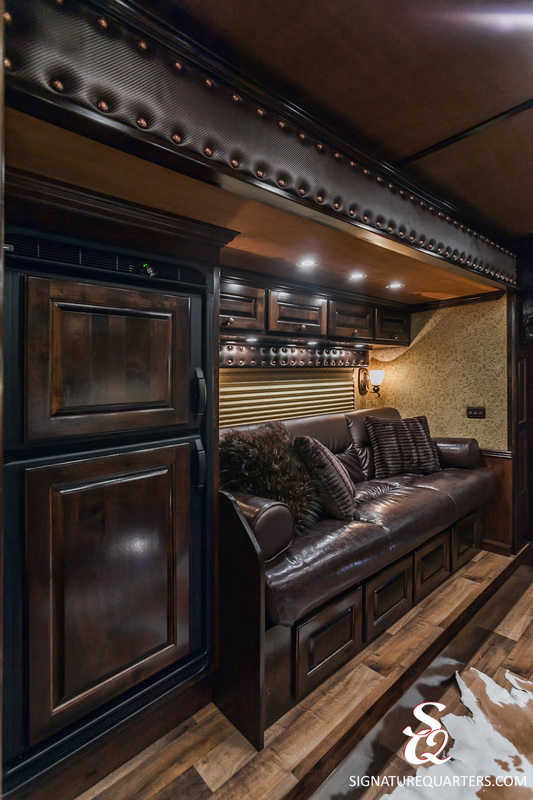 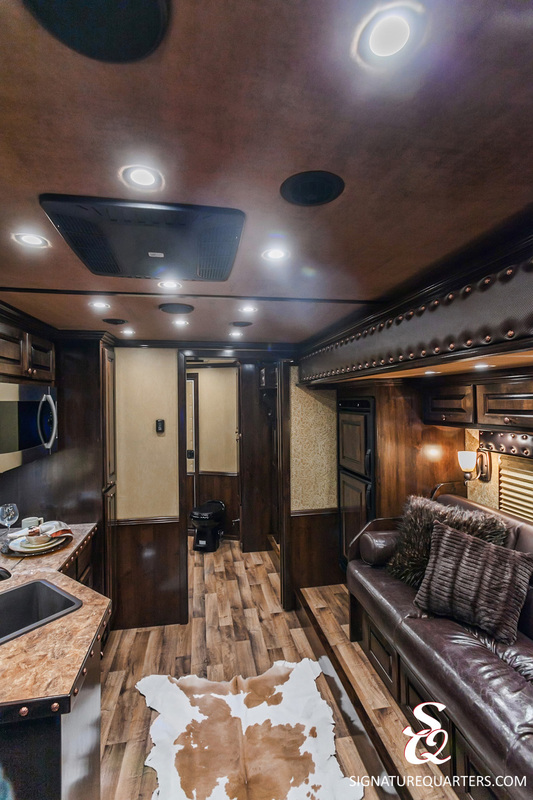 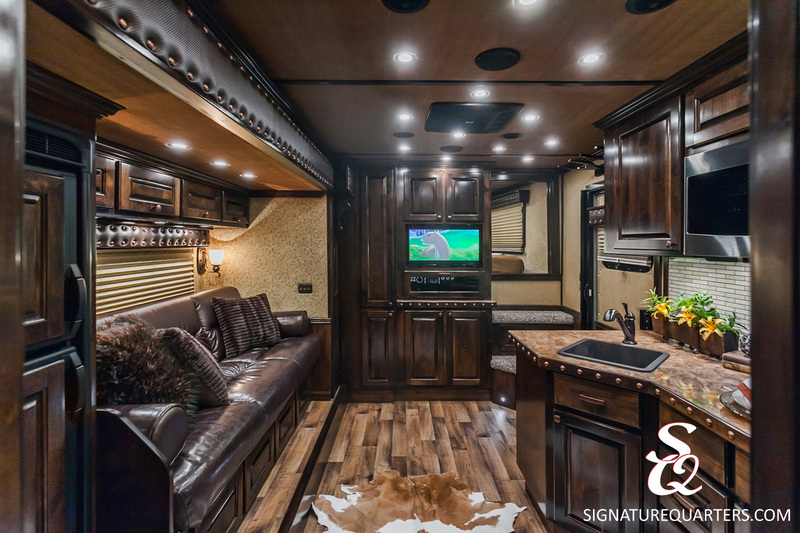 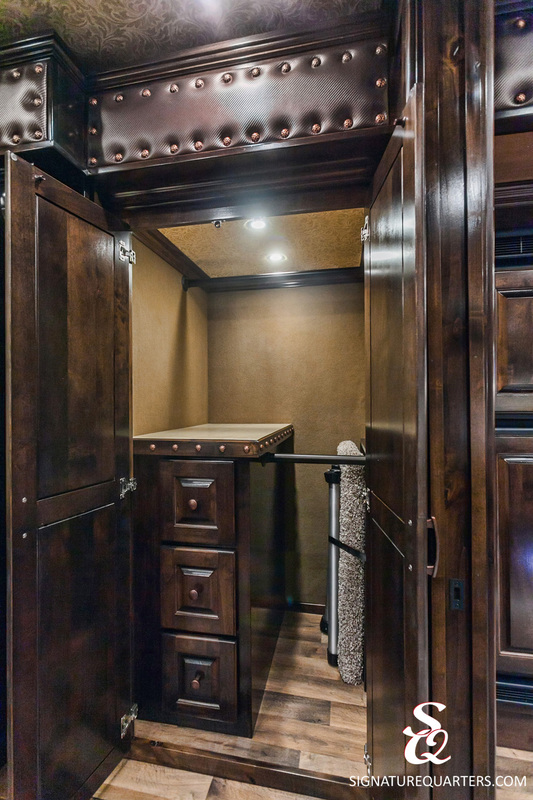 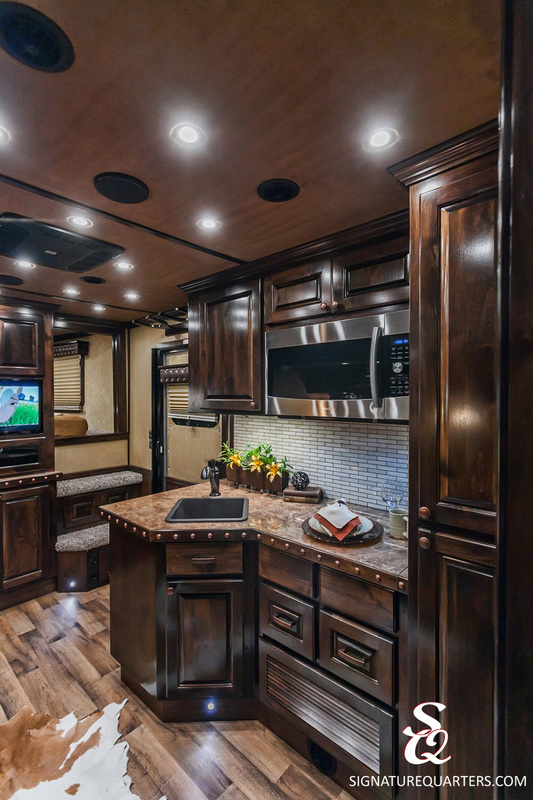 The large slide-out on this trailer provides lots of extra floor space for an all-electric refrigerator, sizable kitchen pantry and a full entertainment center. 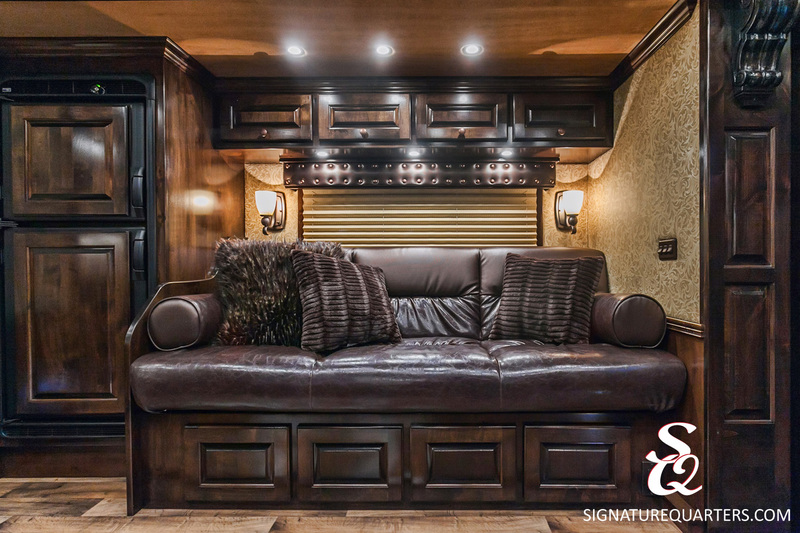 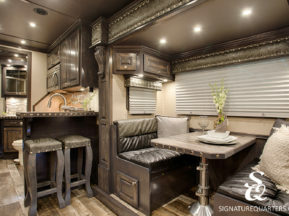 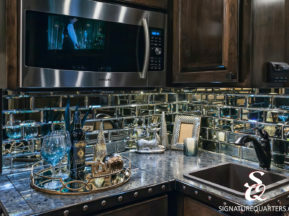 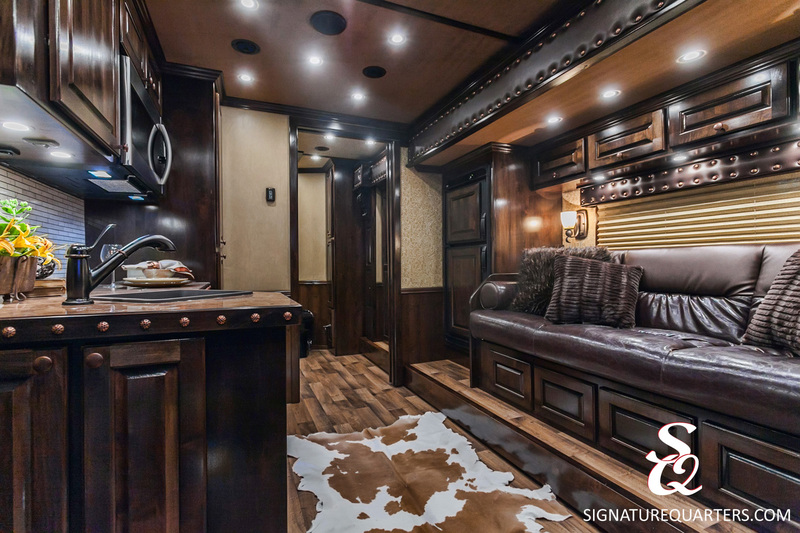 Dark leather, tooled soft touch walls and copper nailhead accents come together for a sophisticated, traditional look. 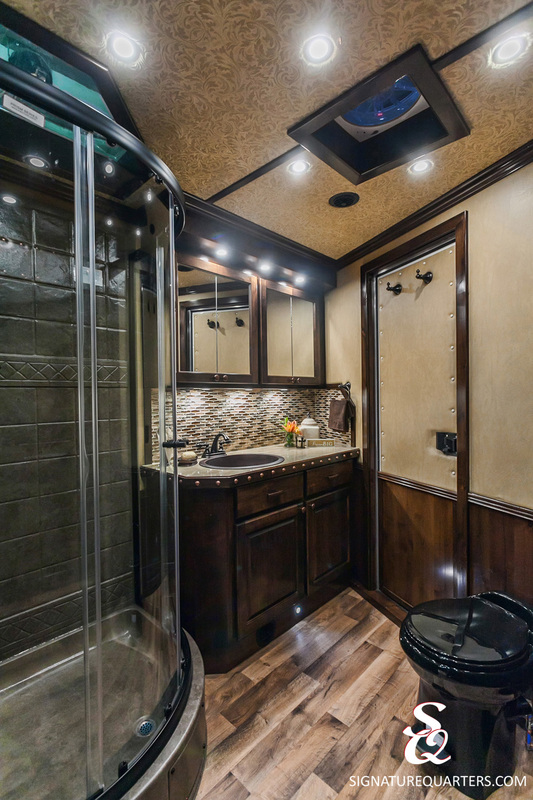 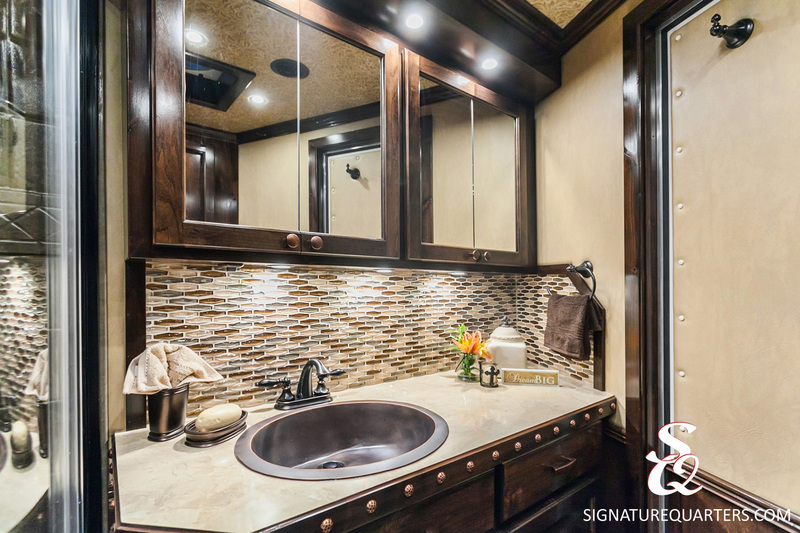 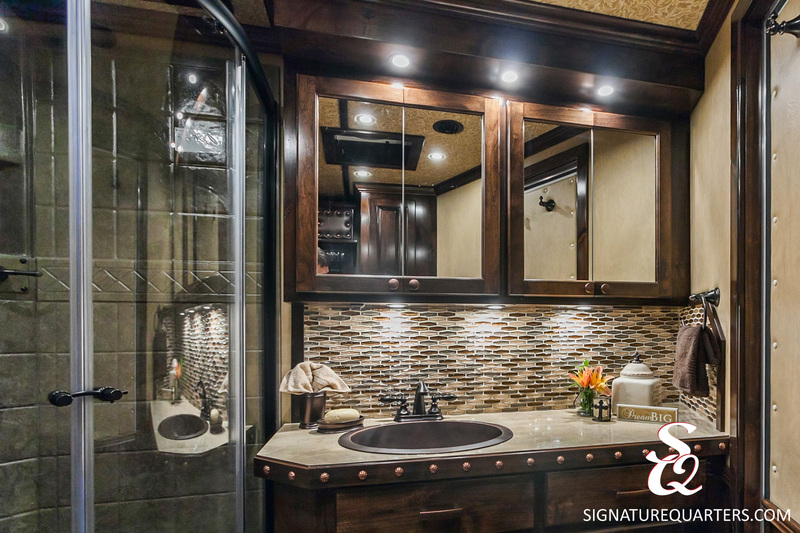 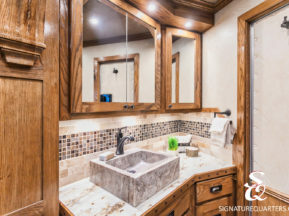 The spacious bathroom includes a glass tile backsplash and a clear glass shower to finish out this polished interior.